New York, NY – Following the international success of the Daughter of Smoke & Bone Trilogy, Little, Brown Books for Young Readers will publish three new young adult novels by New York Times bestselling fantasy author and National Book Award finalist Laini Taylor, it was announced today by Megan Tingley, the division’s Executive Vice President and Publisher. Acquired by Alvina Ling, Vice President and Editor-in-Chief and Taylor’s longtime editor, the deal for world print (excluding UK), electronic, and audio rights was negotiated with Jane Putch of Eyebait Management. The first book,The Muse of Nightmares, is a high fantasy young adult novel with a gothic flavor, and will launch in Fall 2016. Taylor describes it as follows: “There was a war between men and gods, and men won. The few surviving children of the gods have grown up in hiding, dreading the day they know must come: when humans find them, and end them. That day is at hand.” Eagerly anticipated abroad, The Muse of Nightmares will simultaneously release in the UK from sister company Hodder & Stoughton. To celebrate and encourage pre-orders for the July 7 paperback release of Dreams of Gods & Monsters, the epic conclusion to the Daughter of Smoke & Bone Trilogy, fans looking to journey back to Eretz are invited to unlock an exclusive, never-before-seen genesis chapter by Laini Taylor (written on the very first day Karou and Brimstone danced into her mind) by tweeting their favorite quotes from the Daughter of Smoke & Bone Trilogy throughout the month of June (using the hashtag #UnlockLainiTaylor). Once 613 hashtags have been reached (the total page count for Dreams of Gods & Monsters), Little, Brown Books for Young Readers will reveal the exclusive chapter via theNOVL.com, the imprint’s YA fan community website. Following the paperback release of Dreams of Gods & Monsters this summer, Little, Brown will publish The Daughter of Smoke & Bone Trilogy Paperback Gift Set on October 20, 2015. 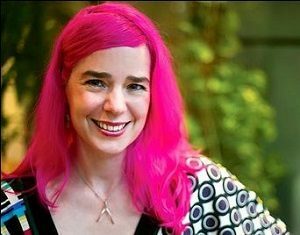 Laini Taylor is the New York Times bestselling author of the Daughter of Smoke & Bone Trilogy: Daughter of Smoke & Bone, Days of Blood & Starlight, and Dreams of Gods & Monsters, and the companion enovella, Night of Cake & Puppets. She is also the author of the Dreamdark books, Blackbringer and Silksinger, and the National Book Award finalist Lips Touch: Three Times. She lives in Portland, Oregon, with her husband, illustrator Jim Di Bartolo, and their daughter, Clementine. Her website is lainitaylor.com. Little, Brown Books for Young Readers is a division of Hachette Book Group (HBG), a leading trade publisher based in New York and a division of Hachette Livre, the second-largest publisher in the world. HBG publishes under the divisions of Little, Brown and Company, Little, Brown Books for Young Readers, Grand Central Publishing, Hachette Books, Orbit, Hachette Nashville, and Hachette Digital. For more information, visit hbgusa.com.